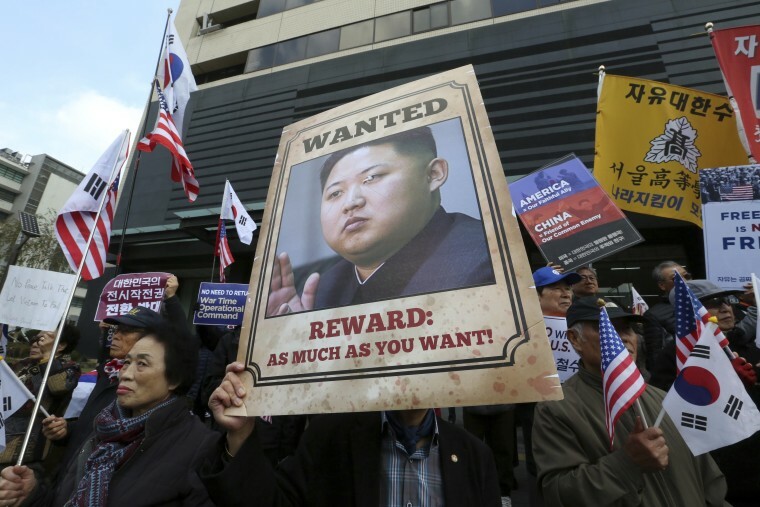 TOKYO — North Korea is on its way back onto a very short list of countries the United States says sponsor terrorism. The designation, announced by President Donald Trump on Monday, will expand the already substantial array of sanctions the U.S. has imposed on trade with North Korea. It will clamp down further on the North's access to banks and other financial institutions and, more importantly, deepen the stigma any potential trading partners will have to take into account before doing business with Pyongyang. Even though many of the punishments against North Korea have already been enacted under previous sanctions measures, putting any country on the list is a very serious move by Washington. There are only three other countries on the list: Sudan, Iran and Syria. Cuba, which had been on the list from 1982, was removed by then-President Barack Obama in 2015. But how exactly does the terrorism charge fit North Korea? And how does North Korea compare to the other countries on the list? In the 1980s, North Korea was particularly active in deadly acts of terrorism, including a bombing in Myanmar that killed South Korean Cabinet members and the downing of a South Korean commercial airliner. It was blacklisted in 1988, but delisted in 2008 as Washington tried to entice it into a nuclear deal. The most glaring recent case of what could be seen as terrorism backed by North Korea is the assassination of leader Kim Jong Un's estranged half brother last February at the international airport in Kuala Lumpur, Malaysia. Two Southeast Asian women are now on trial for allegedly carrying out the killing, but authorities believe the plot was masterminded by North Korean agents who recruited, trained and supplied the women with the extremely toxic VX poison used in the assassination. VX is a sophisticated nerve agent that is almost exclusively produced with state backing for military use. Moreover, the U.S. has accused the North of involvement in several highly disruptive cyber incidents that could fall into the terrorism rubric. Syria has been on the blacklist since the designation was created in 1979. According to the U.S., Bashar Assad's regime supports a variety of terrorist groups that have a destabilizing effect well beyond the region. In particular, according to the U.S., it provides political and weapons support to Lebanon-based Hezbollah, while helping Iran to keep the group armed. The U.S. claim against Syria also includes concerns about weapons of mass destruction — according to the State Department, it has used chemical weapons repeatedly against its own people. Iran's listing goes back to 1984. A State Department report in July called Iran the world's foremost sponsor of terrorism and said it has supported Shiite militias in Iraq and attempted to smuggle weapons to Palestinian terrorist groups in Gaza. The WMD issue, also a factor with North Korea and Syria, has been cited by the State Department regarding Iran because of the proliferation threat posed by its nuclear program. This East African nation, home to Osama bin Laden for several years in the 1990s, made the blacklist in 1993. But along with the terrorism links, and a president who is wanted by the International Criminal Court on genocide charges, the State Department has asserted that Sudan's government flouts the rule of law and lets its security forces commit abuses with impunity. The U.S. government, however, has recently credited Sudan with some improvements. Just before leaving office, Obama issued an executive order that lifted decades-old sanctions on a probationary basis. Trump formalized that last month and is reportedly willing to delist Sudan if improvements continue.